Here's our used guide to the first generation Audi A5. 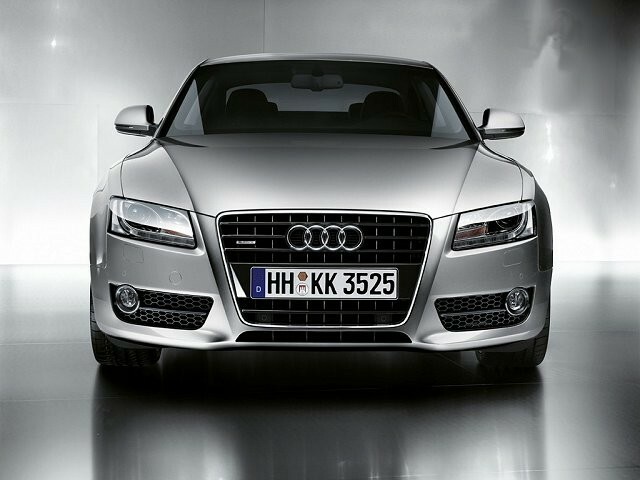 The man who designed the original Audi A5 Coupe thought that it was his best work, ever. To put that in context, the man in question was Walter de Silva, a hugely talented Italian car designer who could also count the 1997 Alfa Romeo 156, 2006 Audi R8 and 2006 Lamborghini Miura Concept car amongst his previous work. That puts the A5 at the apex of a pyramid of serious stylistic talent, and it’s a credit to de Silva’s work that the second generation of A5 hasn’t veered much away from the look of the first. Essentially an Audi A4 under that gorgeous skin, the A5 is a potent mix of handsome looks and everyday practicality that makes for a great introduction to premium coupe motoring. The A5 had an incredibly broad model range. You could choose from three body styles — a two-door coupe or convertible, or a fastback five-door Sportback — and engines ranging from a basic 1.8-litre turbo petrol with up to 170hp, or a 2.0-litre TDI diesel with 180hp, all the way up to a magnificent 4.2-litre V8 in the S5 or RS 5, with either 350hp or 450hp depending on which one you go for. Front-wheel drive or quattro four-wheel drive were also available, and the A5 was one of the first Audis to get the slick MMI infotainment and satnav system. To be honest, the best A5 is either the 1.8-litre turbo petrol or the 2.0-litre TDI. Neither is the most exciting to drive, but both are reliable, economical and easy-going and the A5’s chassis never really encouraged you to use much more power than they provided. Unlike the lithe and delicate BMW 3 Series Coupe, the A5 is rather heavier and less entertaining to drive, although the fast versions (the S5, the RS 5, and even the torquey 3.0-litre V6 TDI diesel) have some seriously impressive performance. Make sure to track down a quattro four-wheel-drive version if you want true all-weather, all-season capability. The five-door Sportback fastback is surprisingly practical and was the most popular A5 model with buyers. Space in the back seats is none too clever, but the boot is a useful 480 litres. Beware the under-powered 140hp 2.0-litre TDI version though — that’s just unbecoming of a car this good looking. Also worth remembering that the early 2.7-litre V6 TDI diesel only came with a CVT transmission, which isn’t as nice as the proper Tiptronic auto or six-speed manual. As with modern Audis, SE and S line were the core trim levels, but there were a few special edition versions too. Basic SEs usually came with 17-inch wheels, leather, climate control, Bluetooth and cruise control, but a car’s equipment level is down to how much the original owner was prepared to spend optioning it up. If cared for properly (check for a full service history), the A5 can be a surprisingly practical and reliable car, even one that’s good for family duty if you get the Sportback, yet which has looks that can still stun even to this day. An enduring classic.